This is the heart of Malasa’a. 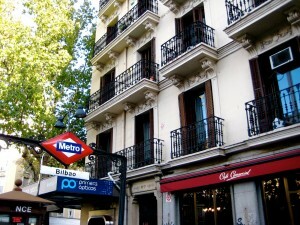 There are outdoor cafes that surround a main square. Although it may look like an unsafe area because of the graffiti that lines the walls of the square-it’s not. Tourists do not usually visit the area, so it’s very unlikely to get pick pocketed here. On Saturday’s there is a small flea market in the square. My favorite stand was a jewelry designer who makes everything by hand: Pilar Lozano. 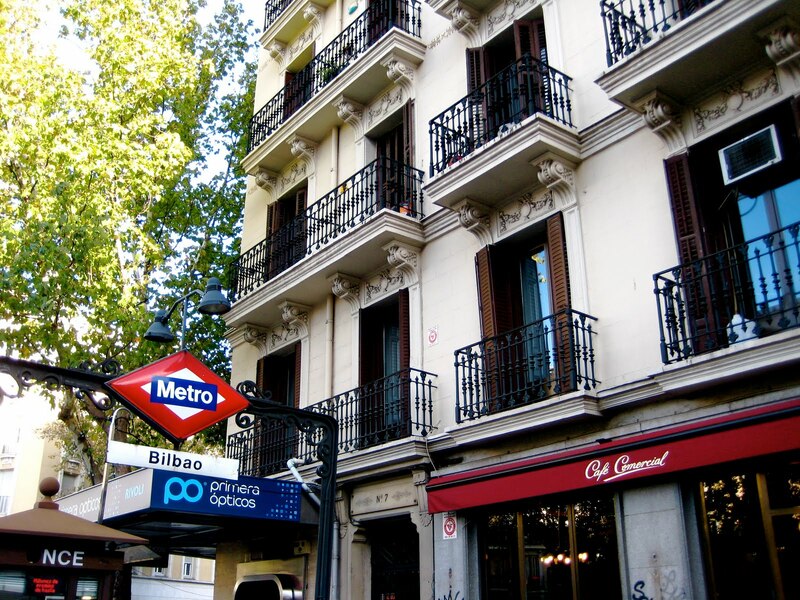 Walk down Calle de Manuela MalasaÃ±a to reach the plaza.